To develop a new habit (and have it stick) you need to persist with it day after day. 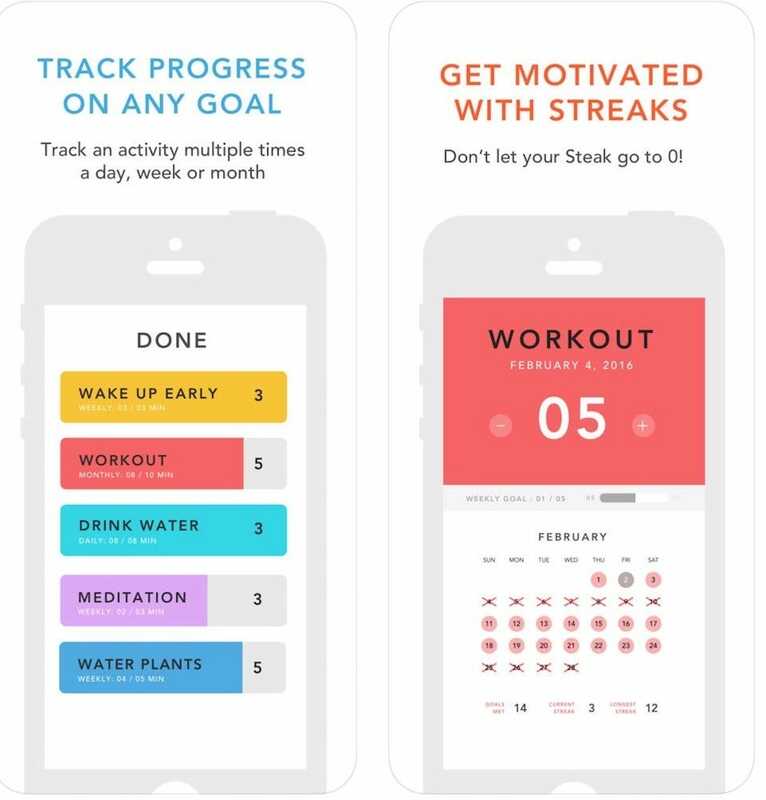 That’s not particular exciting but with these handy apps you might find it’s fun to track and progress towards your new habit goals. 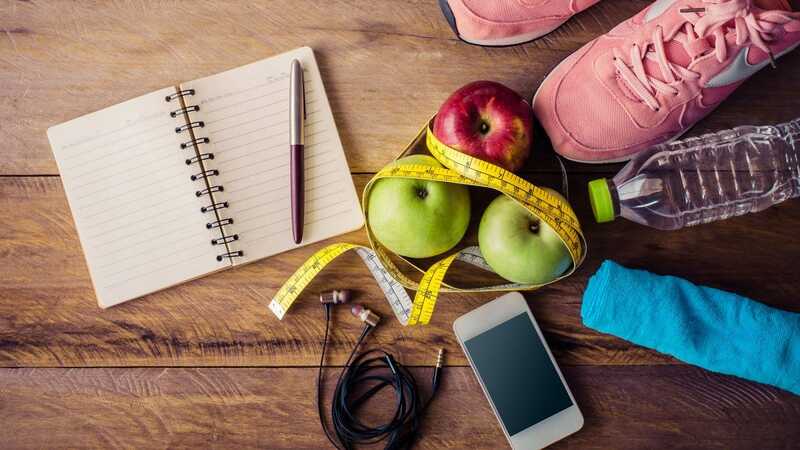 An app can only do so much, of course, and you’ll still need to use some willpower to achieve your aims, but the ability to track your goals one positive move at a time can help you maintain these new habits and activities. It doesn’t have to be anything exceptionally worthy either, like having a salad every day for lunch. It can be something as simple as reading a few chapters of a book each night to wind down, or to spend some time on that fun personal project that always seems to be waylaid. Whatever the reason, it’s both fun and satisfying to track your progress. That’s what these apps do, enticing you more into doing the “right” thing for you. 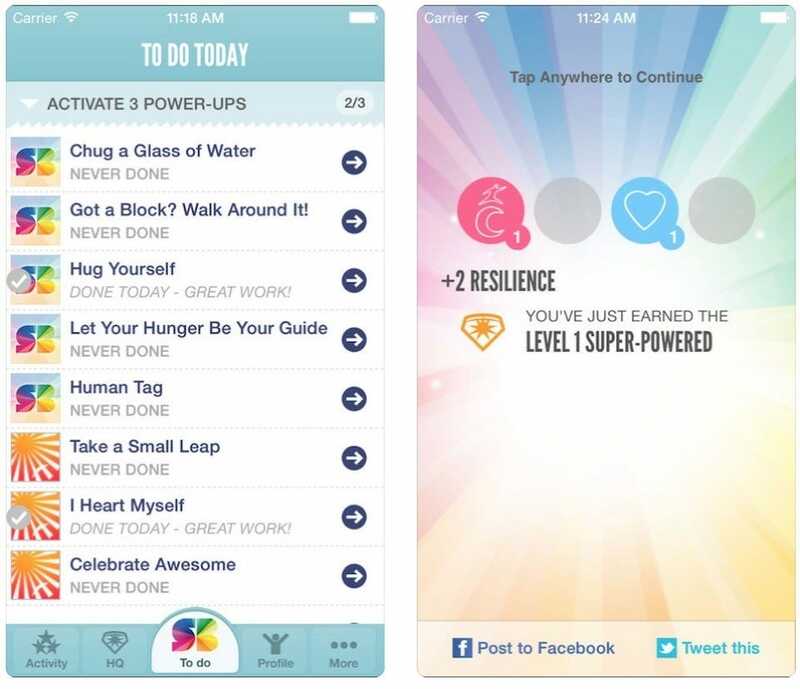 Available for both iOS and Android, SuperBetter treats you as if you’re an aspiring superhero. Each move you make in life puts you one step nearer to being the best you. If you’re looking for an app that has a little science and testing packed into its design this is the one you should take a good look at. 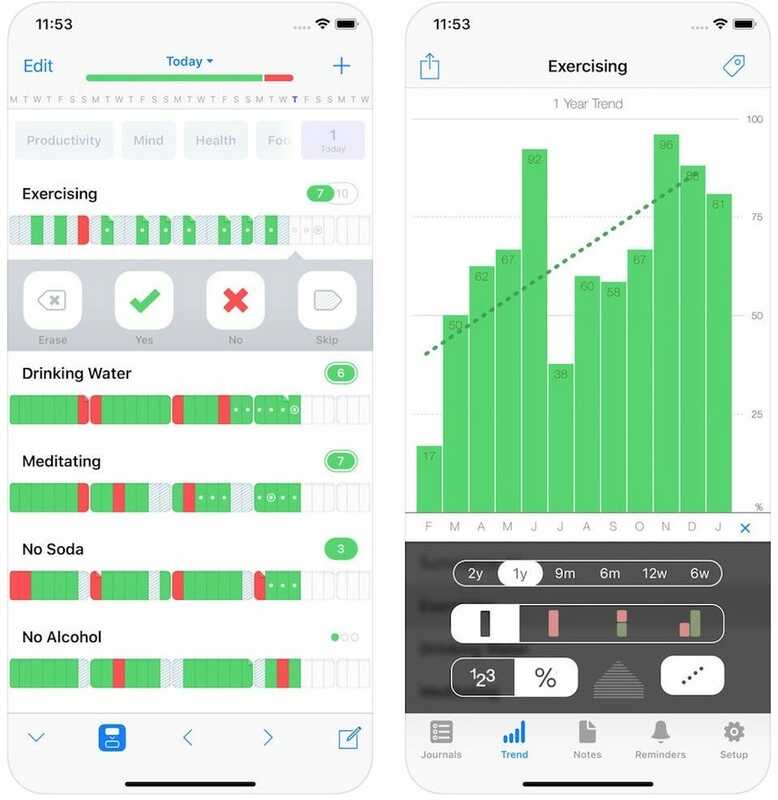 The app was designed by Dr. Jan McGonigal (best know for her “gamification” theories advocating making health and personal wellness rewarding like video games) and the subject of two clinical trials (with positive outcomes) regarding the use of digital tools to foster good habits. It’s possible to choose a set of pre-loaded experiences that match familiar aims, such as drinking more water, walking more, or even simply hugging yourself. You can also assign your own goals, tying them into specific ambitions of yours. 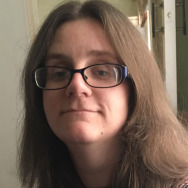 In each case, it’s more than a simple “to do” item, with an explanation as to why whatever you’re doing is a positive step for your mental health. Resilience scores are developed, highlighting your mental, emotional, social, and physical development. 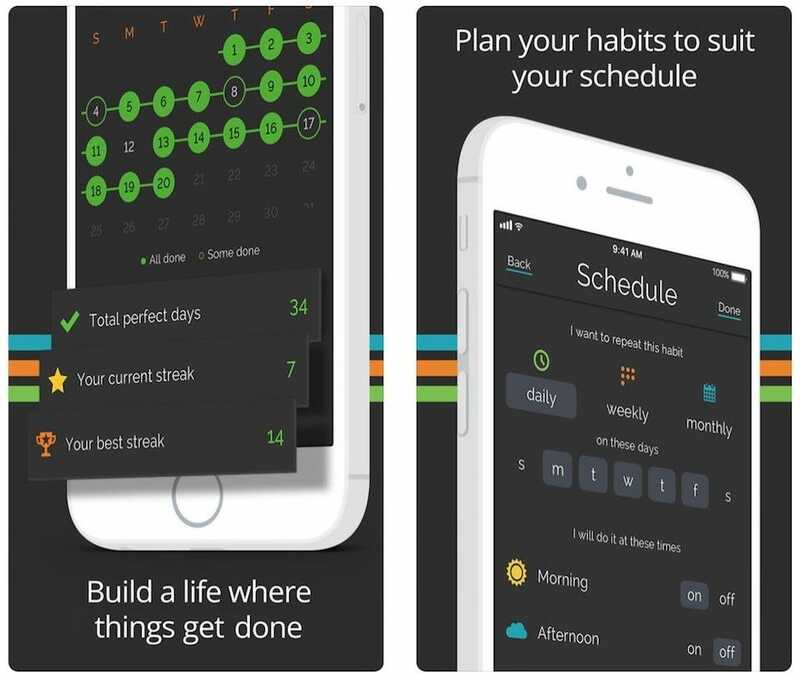 Productive is a habit building app that gets right down to it and looks a lot like a regular To Do list app. The difference here is that it tracks how often you maintain your habits, rewarding you with a congratulations as you achieve a streak. It works pretty well for standard things like encouraging you to take a regular walk, cooking a healthy meal, or even just remembering to take your medication. 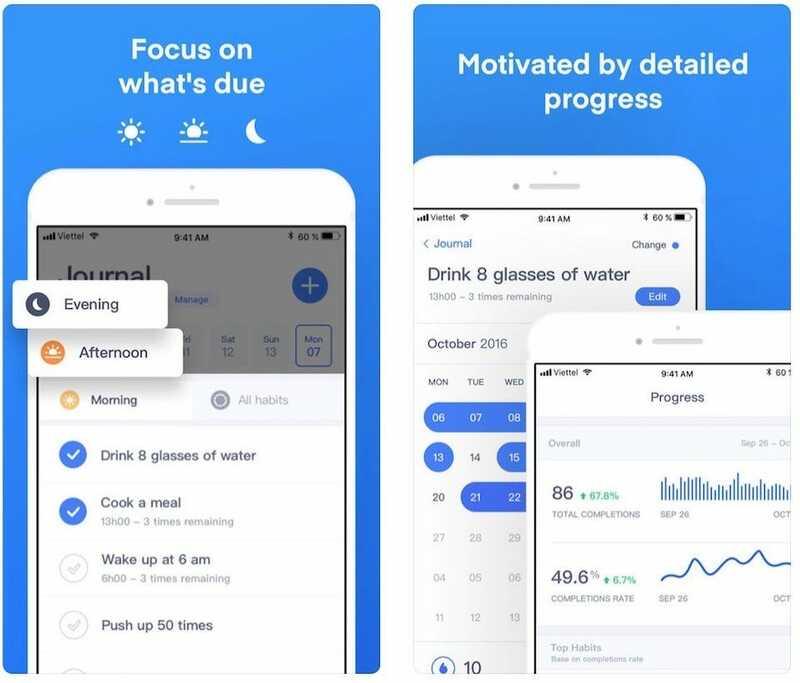 You can also arrange for smart reminders during a key part of the day, and you can schedule yourself in to complete certain tasks at the “healthiest” time. Upgrade to the subscription model for $20 a year, and you gain access to extensive statistic tracking. The free version covers the basics, but the premium service also includes week by week data for showing you how you’re improving, along with streak information. Although originally a conventional To Do list app, Todoist has expanded into habit building and tracking via its Karma feature. Via the system, it tracks your task management, displaying the results in colorful and easy to read graphs. 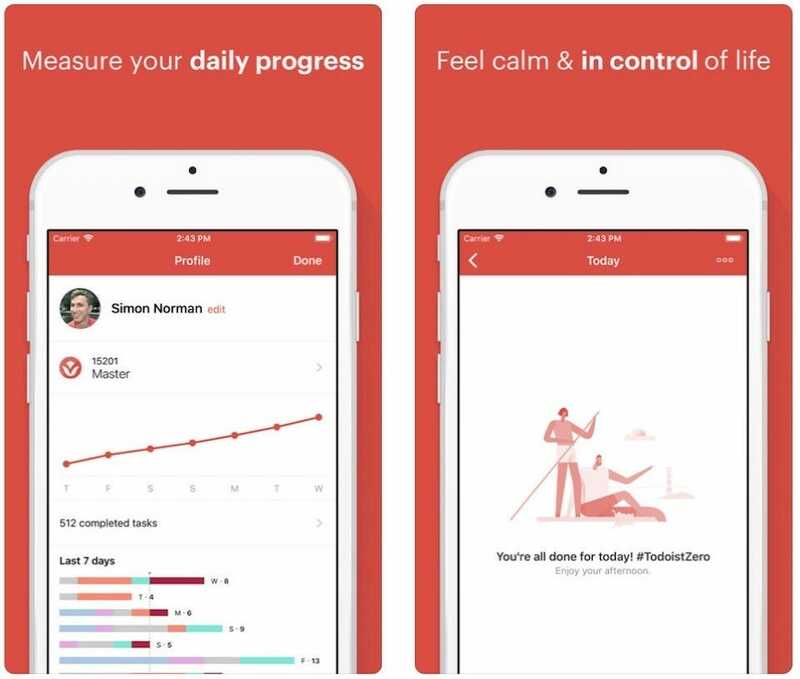 It tracks your progress and gives you updated charts with trends and patterns over time. Everyone loves to see concrete results of whatever they’re working towards, so the colorful charts in Todoist are a nice motivator. A rudimentary leveling up system encourages you too. It’s not as spiritually minded, so to speak, as something like SuperBetter, but it works great as a crossover between conventional To Do list app and habit building product. It’s also available as a web based app, as well as through Android and iOS, so you’re never far from your list. Way of Life! thinks big when it comes to habit forming. It doesn’t just track weekly data on how well you’re doing — it expands as far as 2 years if you want it to. It’s geared towards encouraging you to do the little things more frequently, from drinking more water to completing exercise. Updating the app is as simple as you make it. You can just tick a box to show you completed something, or you can add some notes, such as boasting about how you turned down heading to Happy Hour after work. Reminders can be set up for whatever day works for you, with custom messages and the choice of an alarm to further entice you. A scoreboard provides instant feedback, and there’s the allure of the many bar and pie charts to make you feel good about yourself. It’s available free for both iOS and Android; the premium upgrade ($5) unlocks backup to cloud storage and unlimited items on your habit list. Done is as simple as its name suggests. For free, you set up 3 habits or goals with $5 unlocking an unlimited number. Large bar graphs highlight how you’re progressing and what you’re aiming for, with a calendar interface showing when your best days are. Essentially, it’s a stat addict’s idea of heaven with everything being displayed in some form of graph. That means it’s great for seeing at a glance just how well you’re doing at maintaining your habits. Don’t expect to be provided with analysis, but it’s pretty simple for you to figure out when your “good” days are. The Premium version also includes passcode protection and Dropbox backup support. It’s available for iOS only. Cleanly laid out and minimalist in appearance, Habitify works as a journal for your habits. It divides the day up between morning, afternoon, and evening, giving you the perfect opportunity to slot in relevant activities to your chosen time period. If you want to drink a certain number of glasses of water, you can set a specific number for the day, with the app keeping an eye on your progress. Alternatively, if you want to have a more vague habit such as simply “find the time to read”, that’s possible to include too. As you progress, detailed statistics are provided, highlighting your progress and displaying your improvements. Apple Watch support, along with a Widget for your phone, means you’ll always be ready to record (and get remind of) your new habits.